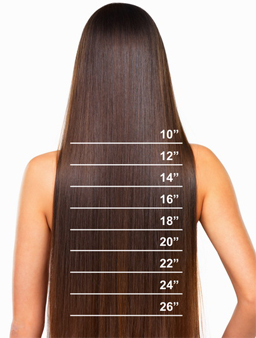 Find the best 16" Chocolate Brown (#4) 20pcs Wavy Tape In Remy Human Hair Extensions at ParaHair. FREE delivery & 30-Day Return Guarantee! 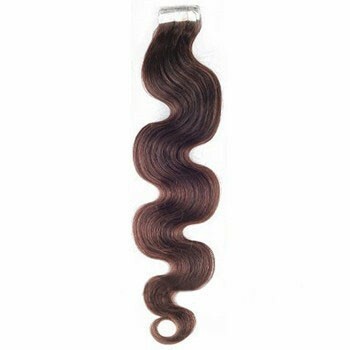 16" Chocolate Brown (#4) 20pcs Wavy Tape In Remy Human Hair Extensions was successfully added to your shopping cart. 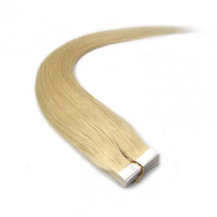 Parahair tape in hair extensions are carefully handcrafted, using handpicked premium quality Indian Remy hair. 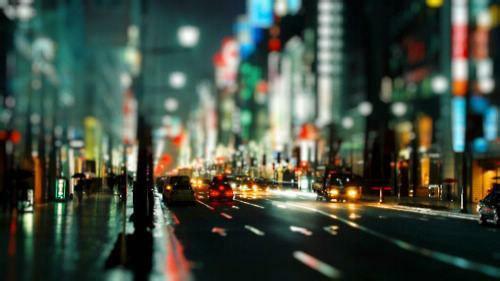 The hair is collected by a team of highly experienced and expert staffs to ensure the supreme quality hair extensions. 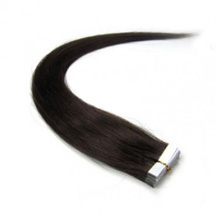 We only provide the best human hair to the market, always ensuring that the quality is of the highest standards. 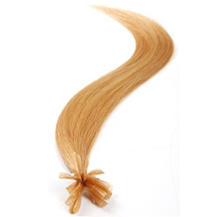 The Parahair remy human hair extensions are just like your own hair and can be styled, curled or straightened as desired. 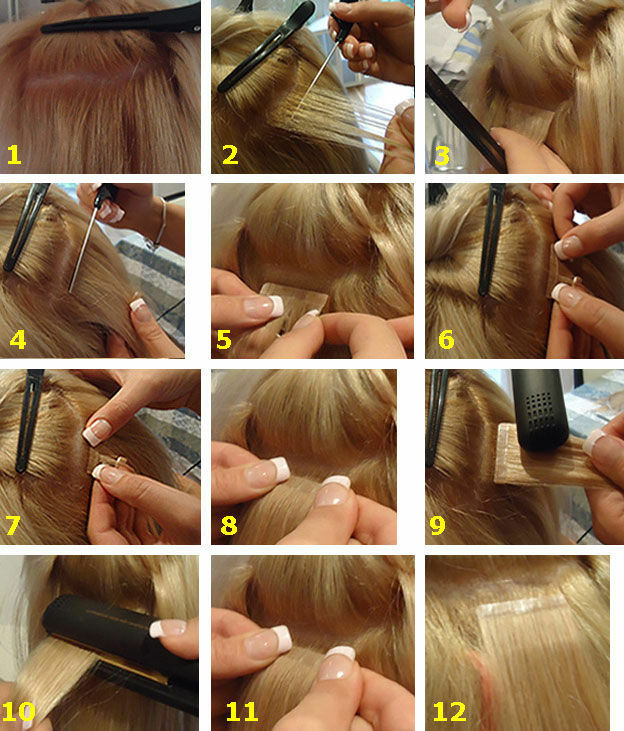 Make a section horizontally in the hair where you will attach the tape hair. 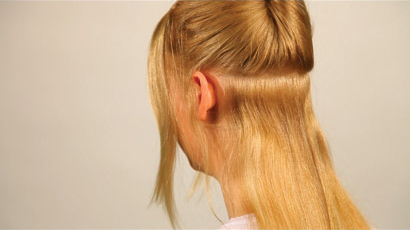 Make sure to leave some space at the lowest part of your neck so your extensions won't show when wearing a ponytail. 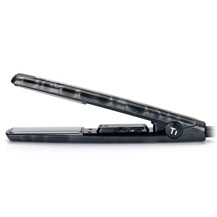 Using the FLAT IRON, press down firmly on the extension applying heat to the adhesive tape. 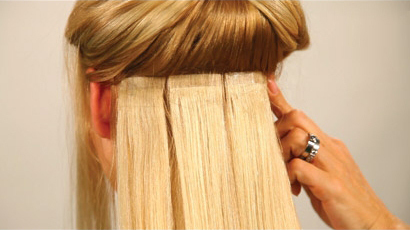 Remove the top layer from the adhesive, place the tape onto the prepared section of hair. Press down. The tape hair should now be attached. Now lift the piece up and hold it with an EXTENSION CLIP. 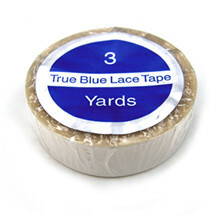 Take a second TAPE extension and repeat the heating process. Attach the second tape to the section that is held up and press it firmly together. 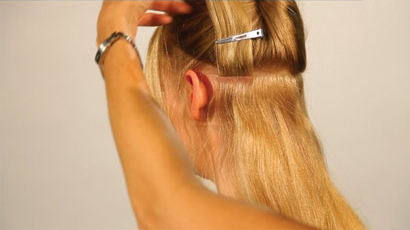 The two tape pieces are now glued together onto a section of your own hair. 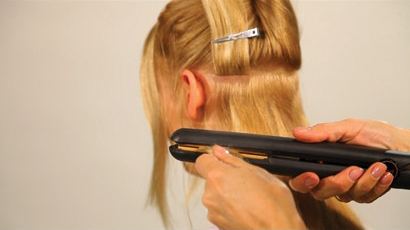 To reinforce the tape, you can apply slight heat with the FLAT IRON to the entire section. 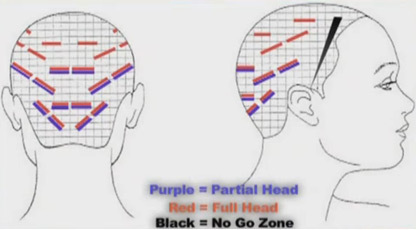 Repeat the previous steps in each horizontal section. You can leave about an inch between each row depending on how much volume you wish to add. Repeat the previous steps in each horizontal section. You can leave about an inch between each row depending on how much volume you wish to add. 1. 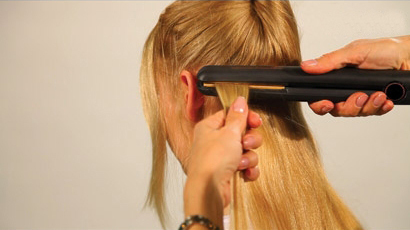 Hair must be applied to washed unconditioned hair. 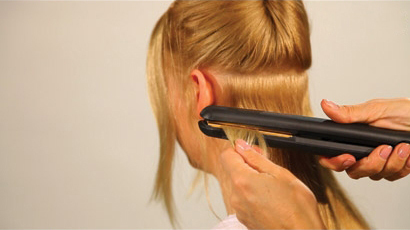 Part your hair in desired area where extension needs to be applied.